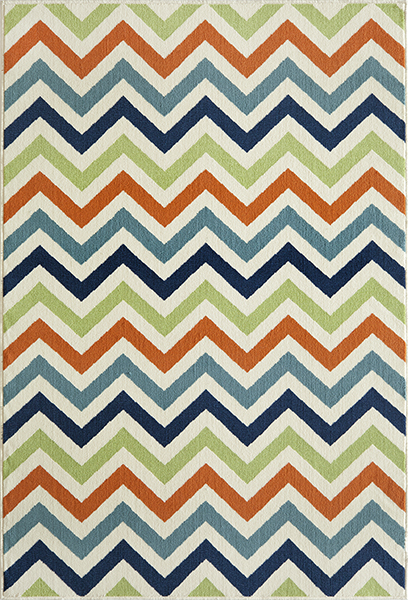 Bring coastal style to your room with the Baja Chevron Multi 9 x 13 Rug. This nautical area rug has classic chevron stripes in orange, apple green, Aegean blue, navy and ivory. For further products, we encourage you to take some time to browse our entire selection of coastal area rugs at Bella Coastal Decor today.